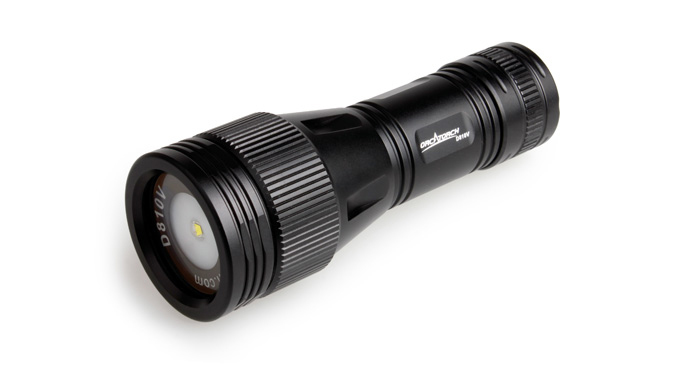 ORCATORCH D810V is a professional underwater video light with high output, high reliability, and high portability. It has 120 degrees super wide floodlighting with no blind angle for underwater photography. 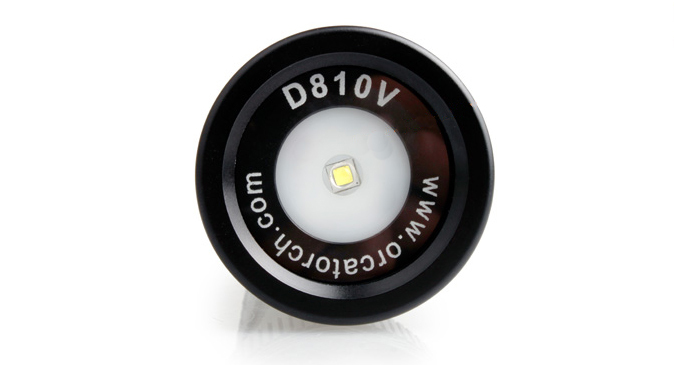 It can reach as high as 950 lumens output with one single CREE XML2(U2) LED. The head mechanically rotary switch offers high reliability underwater. The light is light weight and small size powered by one 26650 battery. With a robust water pressure resistant construction, its depth underwater can reach 150 meters.